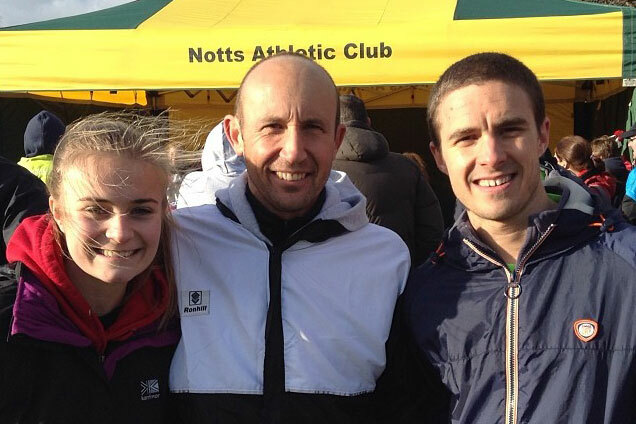 Emma Dutton with Richard Harris and Aidan Johnson at Nottingham 27-12 (Chris Adams not on photo as had to leave prior) from Notts AC Christmas relays. A resounding win for Rotherham and also for Juniors who also won 1st Junior team. Relays: 4 x 2.75 mile cross country laps in the grounds of Wollaton Park, Nottingham, home of the English National Cross Country Champs 2014.